TAV Operations Services acquired the majority shares of Spain-based company Gestió i Serveis (GIS) Trade Center. TAV will use the Spanish company to support its strategy of growing in markets such as Europe and South America. The transaction has been advised by Eurohold, S.L. as financial advisor of the vendors. TAV Operations Services is a subsidiary and one of the important services companies of TAV Airports Holding A.S.. TAV Airports Holding which is listed on the Istanbul Stock Exchange and controlled by the Aeroports de Paris Group, operates 14 airports in Turkey, Georgia, Tunisia, Saudi Arabia, Croatia and Macedonia. In 2018 TAV Airports generated 37% of the combined revenue through its service companies. The footprint of TAV service companies comprising ATU, BTA, Havas, TAV Technologies, TAV Private Security and TAV Operations Services reached 76 airports in 21 countries including Denmark and Indonesia. For TAV, the acquisition allows them to strengthen their strategy of growing in both Europe and Latin America where GIS has invested most of their effort recent years. Gestió i Serveis (GIS) Trade Center operates VIP lounges in various European and Latam cities including 4 VIP Lounges in the airport of Barcelona and owns brands like Premium Traveler and HelloSky. Among other assets, GIS manages the World Trade Center (WTC) in Barcelona which is controlled by the Port of Barcelona and FCC. Last year GIS had a turnover of 26 million euros. The two main areas of activity in 2017 were airport services (91%) and management of venues for conventions (6.5%). In 2017, GIS recorded an operating result of 1.89 million euros. The Catalan company was founded in 1998 and is currently present in eight countries with over 400 employees. Eurohold S.L. 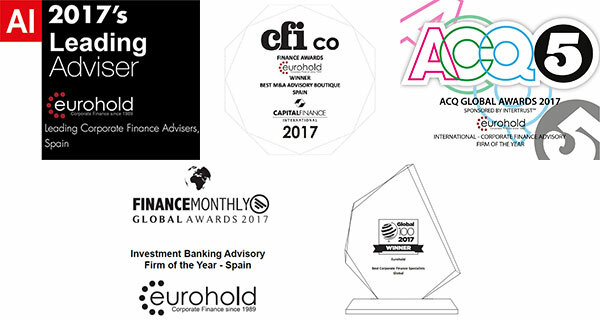 is a private and independent Corporate Finance advisory services company with an own international network, made of experts in various key industries, which supports its clients to reach strategic goals and optimize their domestic and cross-border corporate deals. 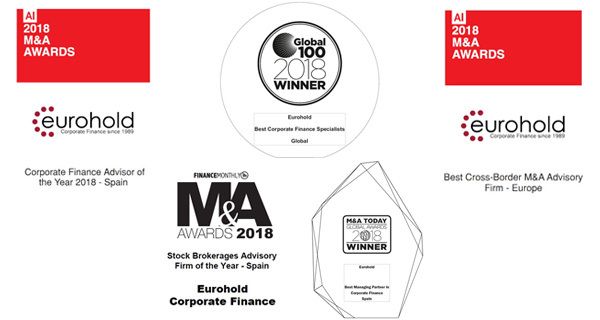 Eurohold operates in Spain (Barcelona and Madrid), but also globally with offices in France (Paris and Lyon), the UK (London), Turkey (Istanbul), Germany (Munich), Switzerland (Geneva), Morocco (Rabat), China (Beijing), Mexico (Mexico), Russia (Moscow), Belarus (Minsk), Portugal (Lisbon) and South Africa (Johannesburg). Eurohold is independent leader on its home market –Spain by number of Mid-Cap transactions.